Park MGM is Las Vegas' ultimate getaway in the heart of the Las Vegas Strip. The lobby is filled with natural light with a nod to urban parks and gardens. Restaurants include Primrose, Bavette’s Steakhouse & Bar, Eataly , Juniper Cocktail Lounge and Best Friend. Park MGM has three pools, spa and cabanas channeling the South of France. Casino action includes table games, slots and the Moneyline Sports Bar & Book. 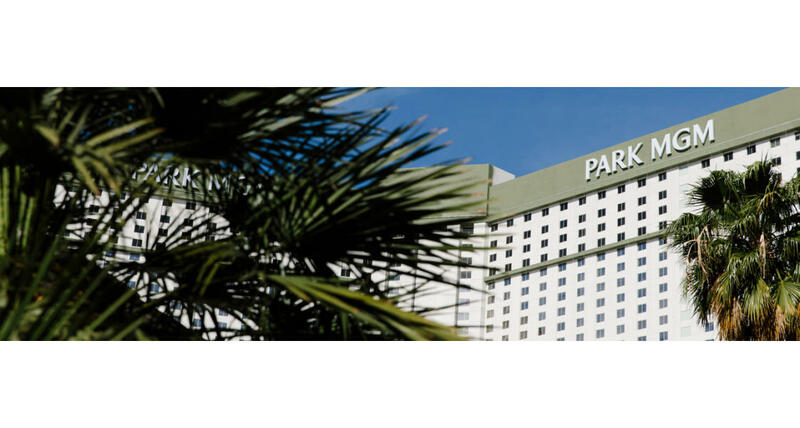 Park MGM has more than 2,900 rooms and suites along with 77.000 square feet of flexible indoor and outdoor meeting space for all of your convention or group needs.